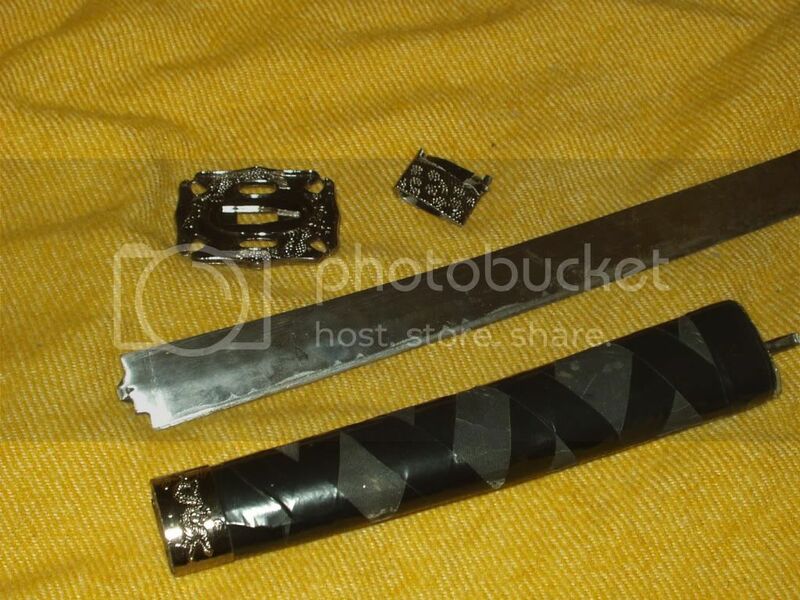 I thought some of you might be interested in this experience of mine, and possibly use it as an example of how cheap stainless steel “swords” can fail. 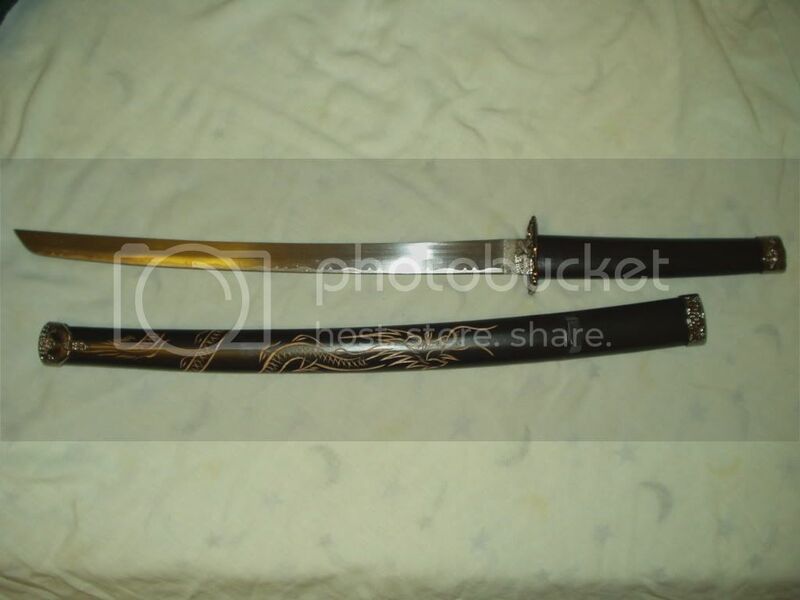 Some time ago I bought my first “sword”, a $10 stainless steel wakizashi. 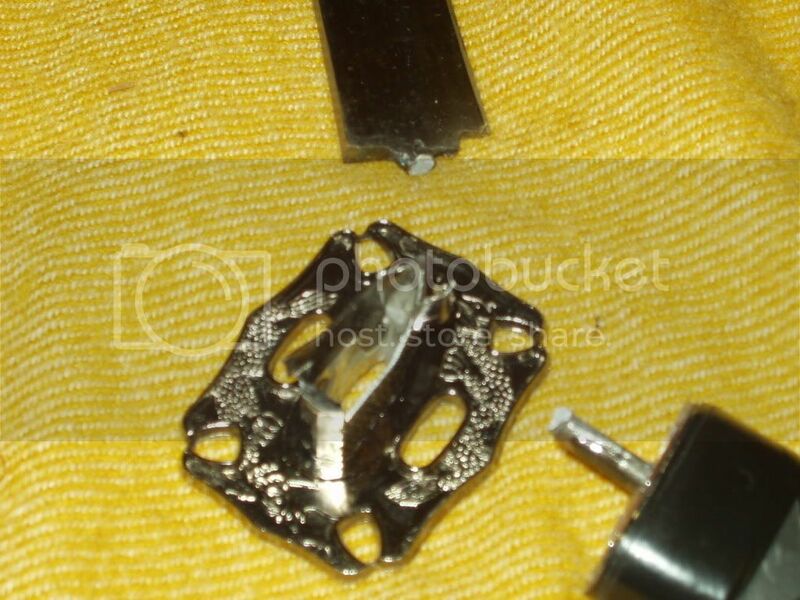 See picture (it’s actually taken apart and the pieces are just laying there in this shot). I took it home and gleefully tried a few vigorous practice swings, at which point I was surprised to hear a pop and find the blade turning in the hilt. It turned out that the blade was simply welded to a metal rod with threads on the end. Nothing except a clip kept it from turning in the hilt and said clip was only kept in place by being in an indentation in the tusba. Simply swinging the sucker with any degree of power was enough to jerk the clip out of the indentation, possibly facilitated by the fact that whoever tightened the nut overdid it and stripped the soft threads. At about this point I started learning more about real swords (though I did buy a couple of other cheap sword-like objects before I did) from internet research, which included myArmoury.com. I went and bought a couple of Windlass and my wakie was tossed carelessly aside. Then I experimented a little with light pruning using a sword. However I found the sap difficult to remove and worried I might be abusing my real sword a tad. So I fell back to my expendable wakie. I mentally considered how it could fail and decided to risk the windows/siding/arms/legs/etc and attacked the hedge next to the house. Now the hedge was badly overgrown and although I started with less than pencil diameter branches, I soon was chopping away at half inch thick limbs. I actually finished off my objectives and was winding down when I suddenly realized during the last swing the blade had taken a decidedly sideways slant. 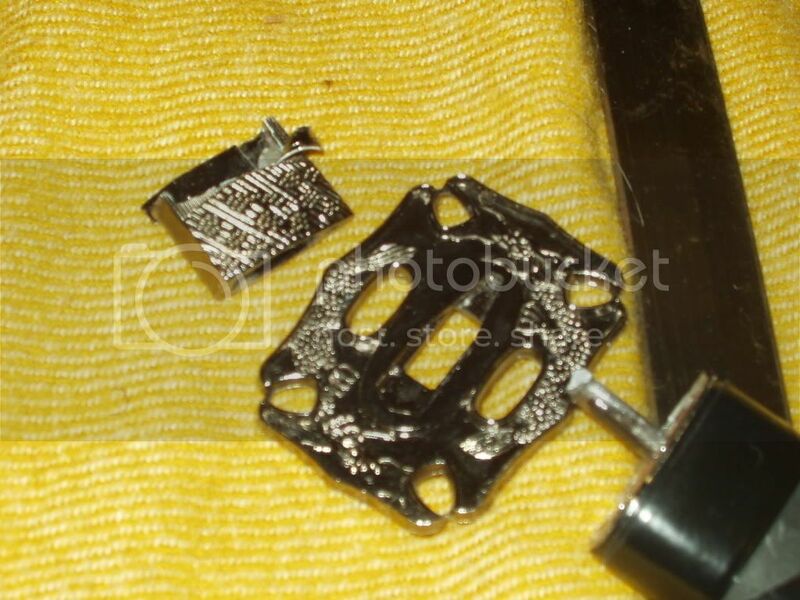 Sure enough, the clip I mentioned above had started to disintegrate and the rod welded to the blade had bent. A couple of light pushes back and forth against the ground finished the job in a classic example of metal fatigue. See attached pictures for the results. Now, no harm came to anyone or anything (save the hedge and the “sword”) in the making of this little drama, but you can imagine how this could have resulted in injury or property damages.